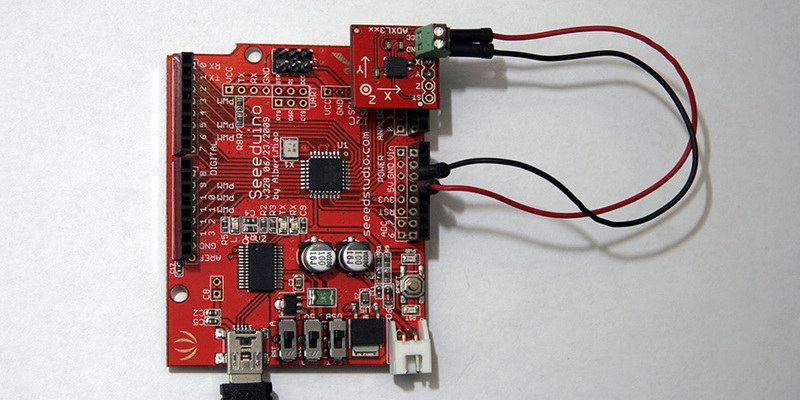 Breakout boards are much easier to use than the chip itself (even though $29.95 is a pretty high markup). 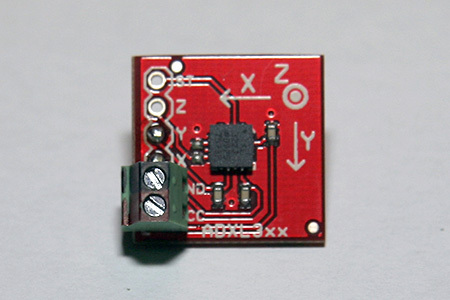 It can be powered 2.4V-5.25V, so it can be directly powered with 3.3V or 5.0V from most microcontrollers. It is pretty responsive with ±2g (I would not put it on a rocket though). 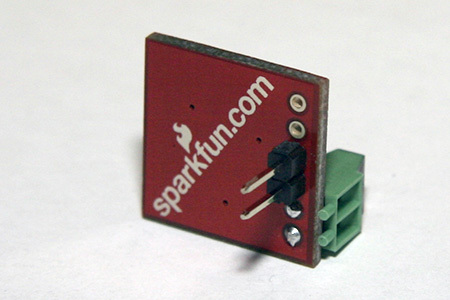 It is only a 2-axis accelerometer (there is nothing on the Z pin), which makes the programming even easier. I used two different headers, a male for X & Y, and a screw terminal for power. I do not use Z & ST. It makes it trivial to connect the accelerometer to an Arduino - I can just connect X & Y to the analog in pins of my choice (here X is connected to 5 and Y is connected to 4) and I can use two wires to connect the power.